It is with a heavy heart that I bring you this review. 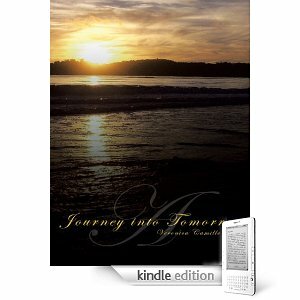 Veronica Camille Tinto’s book of poetry, Journey Into Tomorrow, is, in a word, rough. The poems read very prose-ish, and sound like affirmations. The writing is somewhat awkward, likely due to language barriers, as Tinto hails from Trinidad and Tobago. Simply put, it is amateurish. That doesn’t mean there is no value in her work, however. Take Hope, for example. It begins with A person told me once that HOPE is a concept that carries us through the difficult times and closes with Hence never forget try to understand and always embrace the concept of HOPE. Then there’s New Beginnings. Wow where can I start? Starting over is scary. Sounds like a journal entry to me, which, coincidentally, it probably was. Tinto began writing as therapy during her tumultuous divorce, writing which later became Journey Into Tomorrow. Fantasies threw me for a loop. Check out the last stanza: Fantasies are pilots of many of our flights. But when we experience there (sp) turbulence we then believe it is all right. Fantasies again are desires that can quench the thirst of our souls As long as nobody realizes in reality we all are getting very old. See what I mean? The words on these pages may have been therapeutic for Tinto, but that doesn’t mean it will provide you any relief. I am just wondering have you checekd to see that people from Trinidad do Speak English??? How ignorant are you??? Its not like there some level of ignorance of the language–they speak English. I also speak Spanish and Im African American so does that mean I dont understand American English because my roots are African- because technically we in America speak broken English …. People have their thoughts and beliefs and I respect yours and I am the one person who told her about HOPE and I hope you understand that this book was not written based on the standard idea of what peotry is suppose to be –sometimes you have to look beyond the norm and deviate in to appreciate.